If you know me, then you’ll know I love natural beauty as my skin reacts to chemicals and so does my body. I come out in horrible rashes or even worse spots galore so I’m reaching for my antihistamines within minutes. It’s a hard life ha! But seriously, are the chemicals beauty companies are putting in our shampoos, foundations, even lip pencils good for us? After all, our body is a sponge, whatever we inhale, eat, drink, or put on our skin has an effect on us, that’s why we have allergies. I really love finding brands who are on the same wavelength as me and I’ve actually that’s when I discovered Annie on Instagram. 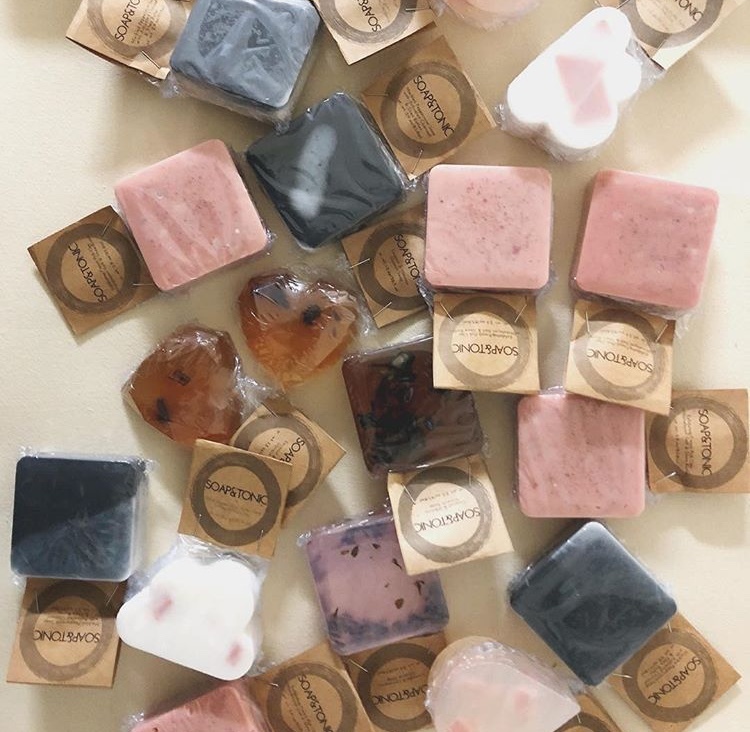 Creative U.S beauty queen, Annie Lopez who is the brains behind Soap and Tonic, a collection of natural, vegan, paraben free soaps speaks to me about how she turned 2018 into the year she would become a fempreneur. What inspired you to start Soap and Tonic? Before July 2018, I felt stuck in this routine and I was getting bored. I knew I needed something new in my life to keep me motivated and challenged. I began listening to motivational and “side hustle” podcasts which really encouraged me to start searching. I’m a huge fan of arts and crafts. I love the idea of being able to create something original. So I thought to myself: “why not make something simple but useful?”. I’m a massive natural beauty fan. Why is it important for you to create natural, paraben free vegan soaps? 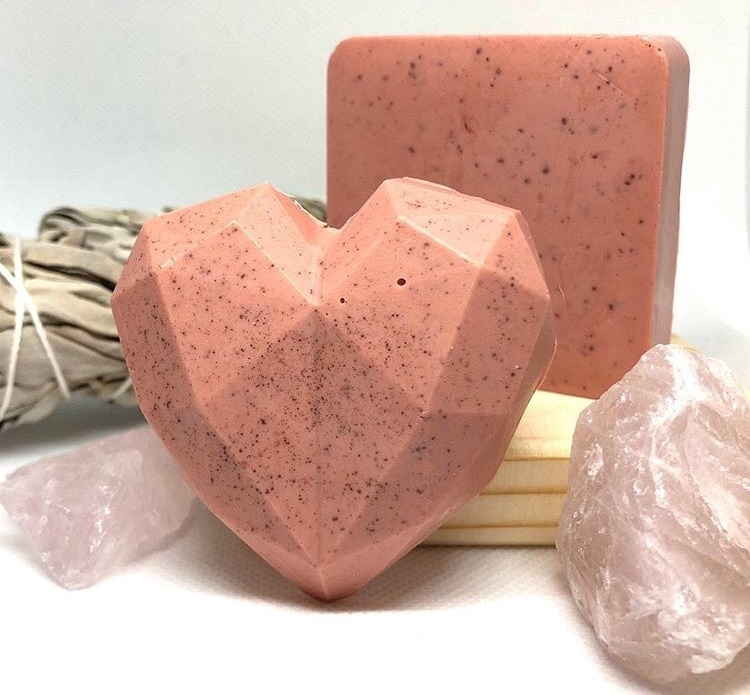 It’s important for me to create natural, paraben-free, vegan soaps to prove we don’t need any complicated or unnecessary ingredients on our body. Simple things like using environmentally conscious skin care products makes people realize how the small, insignificant actions and choices in their everyday life can impact the world on a bigger scale. Choosing paraben-free, natural soaps, like Soap & Tonic’s, is a sure way to reduce your negative impact on the world. If you could describe your business in a quote, what would it be and why? “Our work is the presentation of our capabilities” – Edward Gibbon. When I started Soap & Tonic, I was aiming for the minimalist look because that’s what I personally like– geometric shapes, simple ingredients, etc. Although that reflects my personality, I realized this is my platform to be creative and share it with others. I realized I shouldn’t limit myself because I want to be perceived a certain way. I should showcase my creative side and not be shy about it. Let’s talk about the SMOKEY MARSHMALLOW bar…how on earth do you create such beautiful shapes and get the pink Himalayan salt to sit perfectly at the top? The Smokey Marshmallow bar has an extra step in the process I had described. Before I pour the melted soap in each geometric heart mould, I’ll sprinkle each cavity with a pinch or two of salt. Then I’ll quickly pour the soap right after. Can you recommend soaps for the following? Our French Pink Clay with Himalayan Salt are great for a soft exfoliation. The pink clay is great for all skin types. Our Lemongrass & Spirulina bars are great for detoxifying your body. Spirulina is a blue-green algae and is a great source of protein, vitamins, and antioxidants. It may also help balance your body’s pH. Do you make shampoo and conditioner bars? Do your research. Join forums or facebook groups related to your business. And ask a lot of questions! There are tons of people out there wanting to achieve similar goals and everyone is willing to help. The Side Hustle Show podcast has been very motivating for me. They interview different people who have started their own business while working a full-time job. Also provides tips/tricks when starting a business. Plan your time out wisely. Working a full 9-5 job and a side business is a lot of work but it’s achievable as long as time is planned out accordingly. Just know that nothing happens overnight and be patient. Things will fall into place as long as you put in the work. Have you any exciting projects lined up for 2019? I recently received a wholesale offer I’m considering. It’s super exciting to me that other small business owners are noticing me and love my work enough to have it in their shop! I’m always coming up with new blends so who knows what I’ll come up with next!